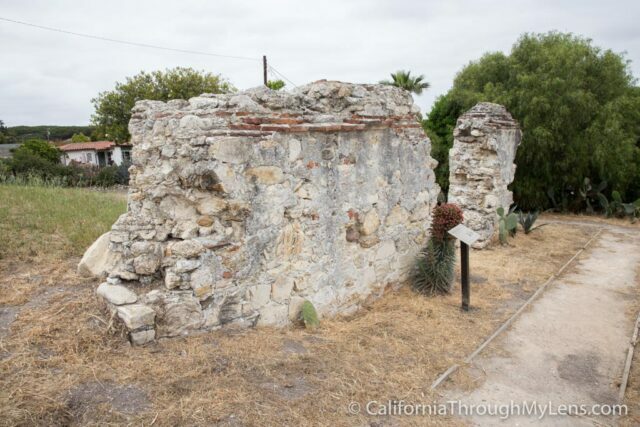 Recently, I set out to visit all of the California missions on one long road trip. 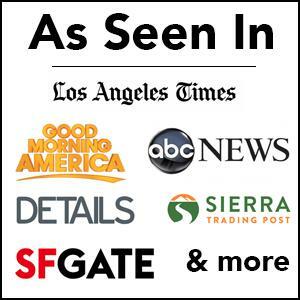 It was an amazing experience that gave me a great appreciation for California’s preservation of these relics of our past. They are some of the oldest buildings in the United States as they date back to when Spain controlled California. 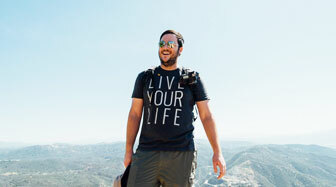 You can read more about my time on the mission trail here. 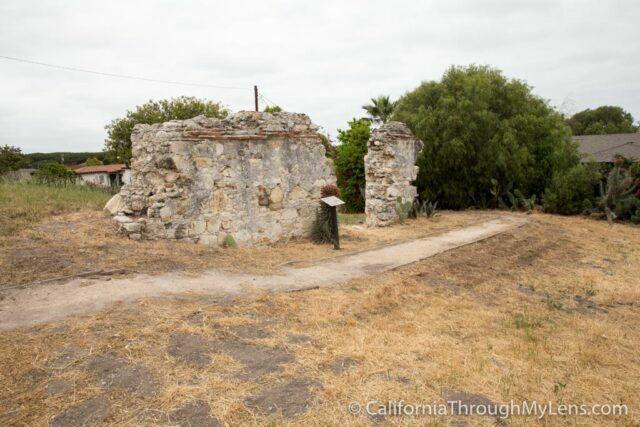 When I was La Purisima Mission State Historic Park the docent told me about the original Lompoc mission and how you can see the remains of it by traveling a few miles south, so I set out to check it out for myself. 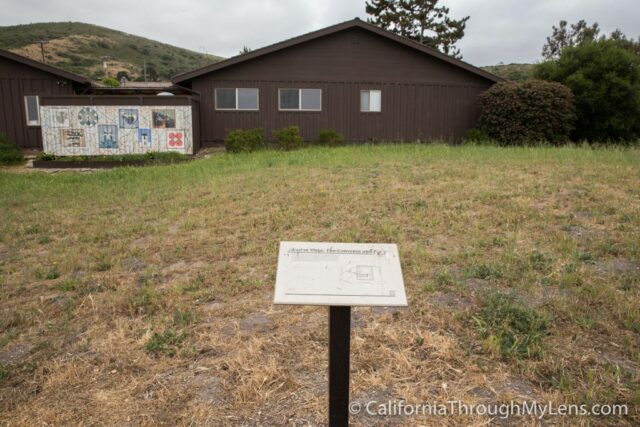 If you are visiting all the missions like I did then be sure to go to this historic site, here is all the information. 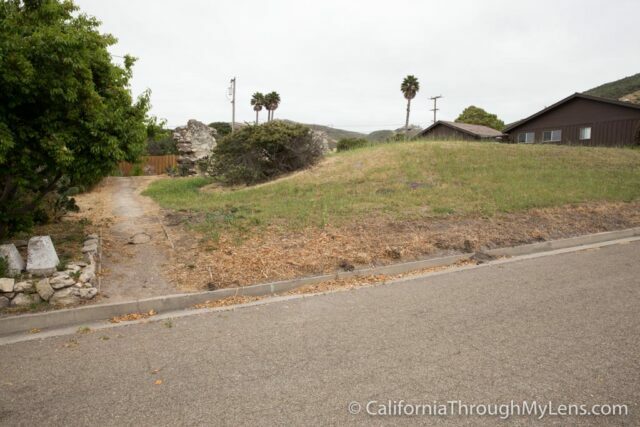 The ruins are at the end of the culdesac of South F Street in Lompoc. Once you reach the end of the road you will see the plaque ahead of you. 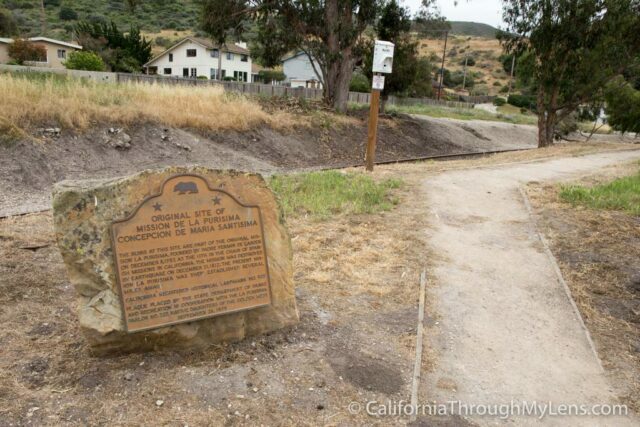 The plaque sitting at the end of the road is dedicated to the original location of the Lompoc mission. 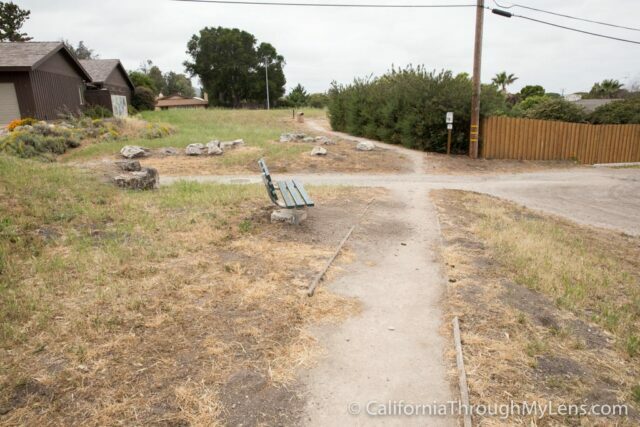 It tells about how the mission used to sit at this site and of its historical significance. Across the street from the plaque there is a small trail that will take you to three other informational plaques which tell you about the mission. It takes less then 5 minutes to see them so I would recommend doing it. 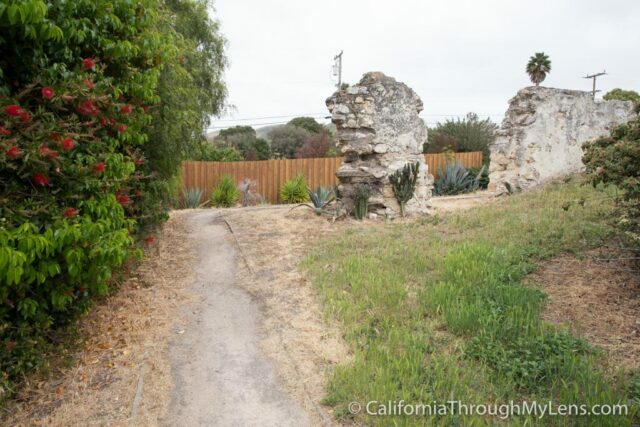 The trail starts right next to one of the houses and you will immediately see the stone wall that is a remenent of one of the walls of the mission. It is not much to see but there is some information next to it and flowers planted around it. From here there is another plaque about 10 feet away with more information about the mission. Lastly, there is a plaque another 30 feet from this one that talks about the remains of the aqueducts which are popping out of the dirt as well. There is not much to see here but you can tell that there used to be a structure here as well. 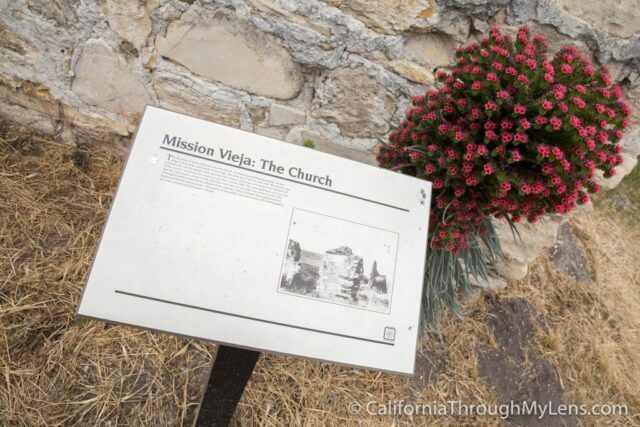 All in all this is very short excursion, but one that will show you a little more of the California mission history. It is a great stop if you are into the history like I am but if not then you can probably skip it.